Welcome to the premier resource for Springville Utah County Real Estate information and services in Utah County. I hope you enjoy your visit and explore everything my Real Estate website has to offer, including Springville UT real estate listings, information for homebuyers and sellers, and more About Us, your professional Springville Utah Realtor. Paul Teasdale currently lives in Mapleton Utah and has lived in Springville for several years. Paul is very familiar with Springville and the various subdivisions and neighborhoods. Start Your Springville Utah County Real Estate Search Now! 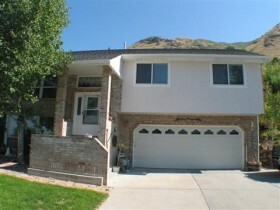 Here is a direct link to search for Springville Utah County Real Estate. Here you will be able to search for all types of Springville Utah County Real Estate like homes, twinhomes, condos, land and investment properties. If you register on our website our system will email you the new Springville Utah homes that come for sale. You will get daily emails of the latest real estate to hit the Springville Utah market. Below is a Springville home Team Teasdale sold several years ago. If you are buying or selling a home in Springville Utah be sure to contact Paul Teasdale for advise and tips. Are you looking to hire a Springville Utah County Real Estate Broker? Remarks: See 40+ Photos Click Property Tour *Amazing Views of the Valley* Lg Deck for Entertaining *Family rm stubbed for future fireplace* Private Springville Bench Loc *Shows Easy* No kids lived here perfect condition. WATER SOFTENER INCLUDED * New water heater.